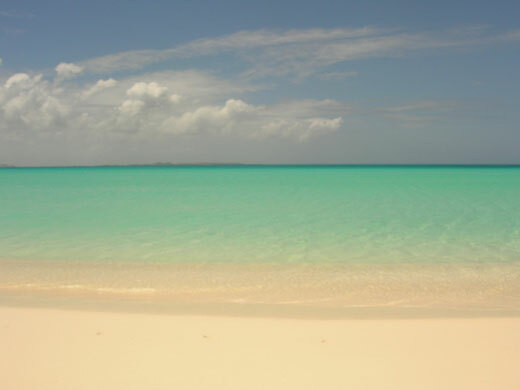 From time to time I receive inquiries about visiting Anguilla in September and October, the height of Hurricane Season. 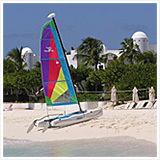 First and foremost, Anguilla island doesn't have any key events in September or October. These months are all about peace, quiet and heat. When I say "no key Anguilla events," I also mean weekly Anguilla events. Many businesses and hotels close in early September and reopen in late October. For some long-time visitors and Anguilla-Lovers, it's their favorite time of year because it feels like Anguilla of 20 years ago (except better infrastructure!)... quiet, cheap and everyone knows your name very quickly. October is mostly the same until the end of the month when signs of life start emerging. 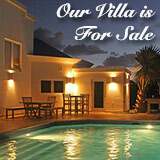 ... What you find in September and October is Anguilla at its hottest! Which brings me to Anguilla weather in September and October. Many restaurants and hotels close due to the threat of hurricanes. Hurricane season officially begins in June, but things get serious in September and October. 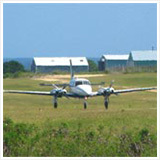 To read about Anguilla's Hurricane Earl in 2010, click here. More on Hurricane Irma here. Do note that the weather tends to be cloudier and more "still" during this time. As a result, many business owners choose to take this slow time off and go on vacation, relax, or do some "spring cleaning." 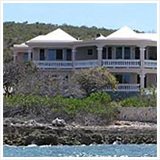 Anguilla island becomes super quiet. You have entire beaches all to yourself! 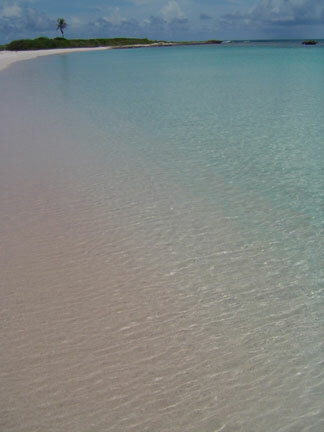 It is difficult to ever call any beach in Anguilla "crowded," no matter the time of year! But, if you compare September or October beaches to December beaches, December would be the "crowded" time, relatively speaking of course. In September or October you really might feel like the island is all your own. This is the ideal time to nap under an umbrella, walk the beach, float and cool off with no one else but your travel partner. One last special note about September specifically... Rainbows! 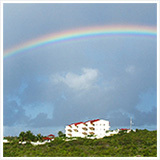 Anguilla is called Rainbow City. 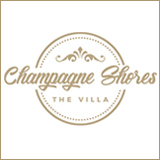 For restaurants, hotels and shops open in September and October click here. 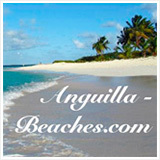 For information on Anguilla Weather In September, click here. 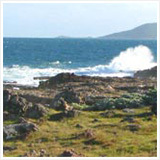 Read about a Special, Secluded September honeymoon by clicking here! 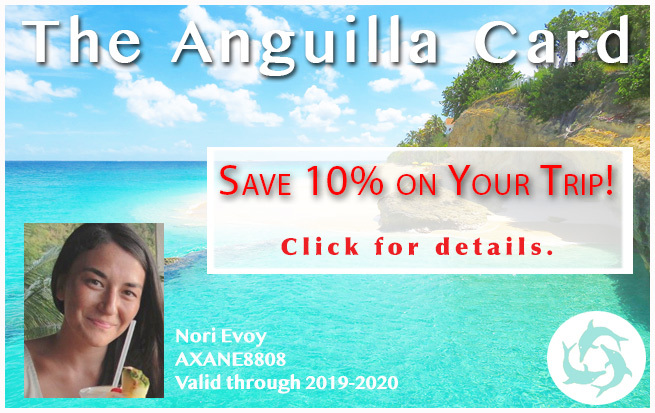 Click here for the most exciting Anguilla event in October, Halloween in Anguilla! 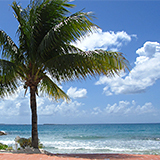 For information on Anguilla Weather In October, click here. 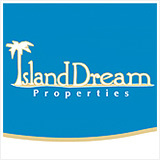 Read about Hurricane Omar which hit in October 2008 by clicking here.